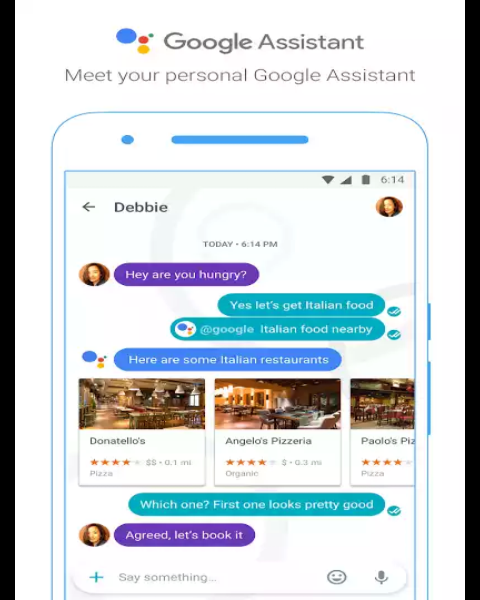 Google Allo is one of the latests apps from Goole and I'm one of those who thinks Google's Allo messenger has what it takes to kick out Whatsapp messenger. Someone asked me, "is it because of the search feature", i said YES, including other features I have listed in previous article. The google assistant is just brilliant, smart and fast, however, it takes more than having better features to becoming first choice messenger for smartphone users- android and iOS. I have listed out some reasons most people, especially in Nigeria, may find it difficult to drop Whatsapp for Allo immediately. Firstly, Popularity - Allo is new, so most people don't know about it, meaning if you have Allo on your smartphone, you won't get most of your contacts on it, they are probably on Whatsapp because even the market woman in the village knows or might probably have heard of Whatsapp Messenger. Secondly, I think this is the biggest reason why most Nigerians won't drop Whatsapp for Allo immediately. Whatsapp bundle - Most people who don't have money for data subscription probably turns to Whatsapp data bundle, which is amongst the cheap data plans, to stay in touch with friends online. There's nothing like Allo bundle, although it might be categorized into social bundles which is more expensive than the individual bundle plan. BBM had better features compared to Whatsapp Messenger but one of the reasons Whatsapp was successful over BBM was because of it's multiple OS compatibility . BBM then, was restricted to Blackberry devices only, meaning java, symbian, android, and windows users (80% of mobile phone users as at that time), couldnt "Ping". Whatsapp came at a time when Pinging ( instant messaging chat) was one of the "braging rights" of most Blackberry users in Nigeria. When people learnt that there was an app to "Ping" with BlackBerry users, everyone went for it and because the BlackBerry users wanted more contacts to chat or ping with, they started using both BBM and Whatsapp messenger. With the advent of Android and fall of blackberry devices, Whatsapp won the race, even Facebook tried to rival with Whatsapp with Facebook messenger but wasn't successful because there were no convincing "special features" on it. We all know the later story ( Facebook bought Whatsapp for $19 billion).